Learners drivers allowed on motorways! So, roads minister Mike Penning has suggested that later on this year that learner drivers will be allowed to drive on motorways. Critics say that learners on motorways are going to cause carnage, accidents and deaths. Allow me to explain why we as driving instructors feel that this is a great idea and the critics are COMPLETELY wrong. Firstly, think hard, how many learner cars do you see in accidents? Barley any? That’s because on a driving lesson you’ve got two pairs of eyes instead of one looking for hazards. You’ve also got an extra brake and clutch for the driving instructor, and seven mirrors instead of three. Driving instructors are responsible professionals who have undergone stringent tests. Therefore; we are able to assess a learners skills and confidence only allowing them to enter situations they will be capable of. This will of course still be the case when introducing learners to the motorways. The learner will also be well prepared and supported throughout. Very few accidents happen on motorways anyway. Statistically, you’re much less likely to be in an accident on a motorway that around town. If we can keep a learner safe turning right on a busy roundabout with multiple lanes, 5 or 6 exits, at rush hour. 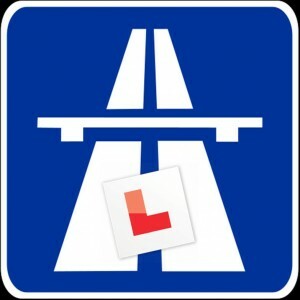 We can keep a learner safe on the motorway. Modern cars cope well with the speed. Most instructors drive cars made after 2007, with ABS, speed sensitive steering, traction control and many other features making them more than capable motorway cars. If you are with a driving instructor, you probably won’t be doing anything wrong, IE tail-gating, driving too fast for the road or traffic conditions, driving in blind spots, not using the MSM/PSL routine, talking on a mobile or getting distracted. Are these not the things that cause many road accidents? Learners won’t be falling asleep at the wheel. If a learner loses concentration, the instructor should still be alert. And instructors don’t lose their concentration. Learners are allowed on dual carriageways. Same speed limit (for the moment). I’ve seen some dual carriageways that have got 4 or more lanes and are more complicated and difficult than most motorways (remember, the road has to have the ‘M’ prefix to become a motorway, dual carriageways are usually ‘A’ roads). I know a few routes from all four test centres in my locality, all of which can go on dual carriageways. Because of this, I ensure that learners are capable and experienced on a dual carriageway. A ‘textbook’ two lane dual carriageway is very similar to a three lane motorway, but the motorway has got one extra overtaking lane, so just one more place to look. If anything motorways are safer because you don’t have slow moving traffic on them to overtake eg cyclists, mopeds, tractors etc. So why should learners be allowed on motorways? Because it will make the roads safer, theoretically. There’s a fair bit of road craft that could benefit learners before going on a motorway, as in how to read overhead gantries, route finding, etc. Some optimists say that with the roads becoming safer, insurance companies will lower premiums for new drivers. They probably won’t though, most of them don’t even recognise the pass plus course any more. It will give learners more confidence. 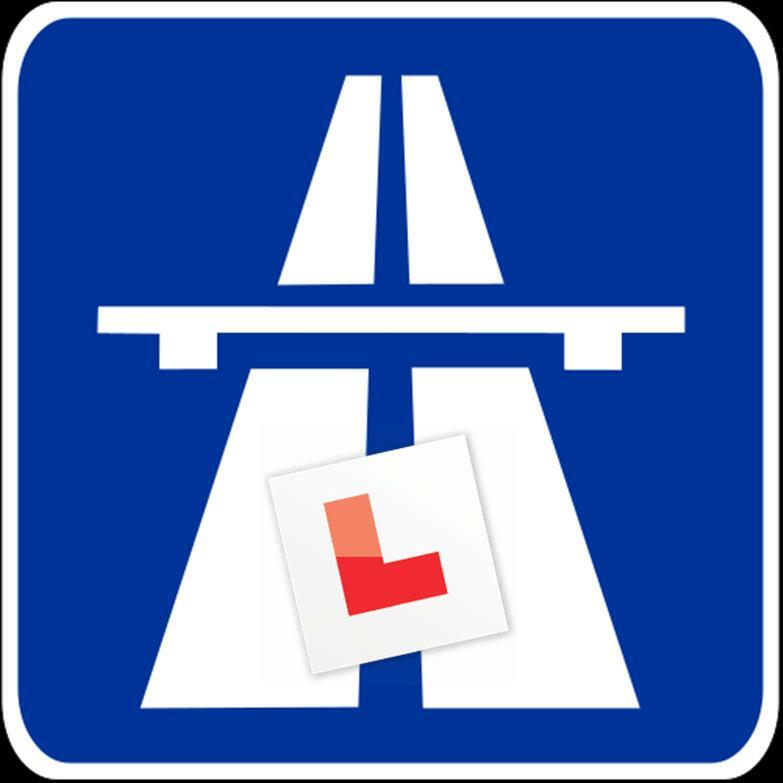 Many of them are afraid of motorways, and being able to do it on lesson with L-plates and an instructor would help. I’ve discussed motorways with many of my learners and frequently they have told me their mum or dad has been driving for years and still won’t drive on the motorway because they are too scared. To me this is a real shame and this new rule could stop this in the future. I teach my learners in all weather conditions, safety permitting – during the floods last year, I taught a few learners how to drive in floods. My logic being they will have to drive in the floods at some point, and it would be better if they experienced this with me, instead of on their own. The learners are restricted to only go on the motorway with a qualified driving instructor. As I mentioned earlier in this article ADIs have the skills to assess when a learner is safe to face this challenge. Going on the motorway for the first time with a family member before they are ready is something that could potentially be dangerous. It is not part of the driving test. This was a necessity, as many test centres are an hour or more drive away from any motorways so there is no way they could have made it fair to test this in those centres that are near to motorways. I just hope driving instructors will ensure their learners realise the importance of this experience and don’t just ignore it as it’s not part of the driving test. Everything I’ve read contrary to learners being allowed on motorways is a bit poorly thought out. I’ve explained why its not a safety issue, the only opposition I’ve got against it is that my copy of the ADI’s handbook will be obsolete and I’ll have to get a new one. It’s another brilliant idea from Mike Penning who is really bringing the “safe driving for life” policy into action and creating capable and confident drivers, not people who are lost the moment they pass there test and have to face the roads alone. When the new policy is put into action we will be sure to put some motorway driving tips on our blog. We welcome your interesting and relevant comments on this topic.